There are Insurance agencies and Insurance companies. Garcia Insurance Services is an agency. As an independent insurance agency, we represent many different insurance companies. As an independent agency, we help our clients buy from insurance companies. We strive to get the best coverage to protect the quality of life of our customers. Clearly, we believe that we are one of the best insurance agencies in New Orleans, but this is about who we believe is the best Insurance company in the New Orleans area. Insurance in New Orleans post-Katrina has been tough. Many of the big names in home insurance have refused to offer hurricane insurance as part of their home policies. But, over the years, new companies have made their way into the New Orleans market, offering her citizens top-notch protection and competitive pricing. We are excited to share with you our partnership with one of the best home insurance companies writing Home insurance in the New Orleans area. 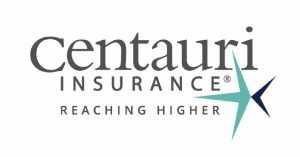 Centauri Insurance was founded in 2006 to provide exceptional, yet competitively-priced property and casualty insurance products. Centauri is not only writing policies in Louisiana, but also in Alabama, Florida, Hawaii, Mississippi, Oklahoma, Massachusetts, South Carolina and Texas. Diversification is a good thing. They don’t have all their eggs in one basket, and that’s a big win for Louisiana policy holders. At Garcia Insurance, we’ve been working with Centauri for over 5 years. As an independent insurance agency, they make it easy for us to do business with them. The better a company serves us as a partner agency, the better we can serve you, our clients. When we consider what makes an insurance company the best, we look at technology, underwriting responsiveness, customer service and claims paying ability; as well as the following 5 factors. Insurance exists for when there’s a problem. Centauri Insurance gets that. Their mission is: To be there when you need us, by having your interest in mind in everything we do.” The Garcia Insurance mission is: “To offer our clients the coverage that best protects their quality of life should a claim occur.” Centauri Insurance and Garcia Insurance are here when you need us. Price is not everything, but when you can get the best home insurance in New Orleans at one of the best rates, that’s what we call VALUE. In 2017, Centauri filed and was approved for new insurance rates in the State of Louisiana. New rate filings typically mean higher premiums for the homeowner. But not this time. Centauri’s new rate filing was for a reduction in premium, making them even more competitive for homeowners in New Orleans. This is unique not only for New Orleans in a post-Katrina market, but also in a market that seems to increase rates each and every year. While you may experience a small reduction from one year to the next, it is typical for your insurance to simply go up in price. Taking a stand like this is the sort of thing that sets Centauri apart from other insurance companies. Both Centauri Specialty and their Louisiana subsidiary, Centauri National, have both earned an “A” rating with Demotech. Financial Stability Ratings® (FSRs) represent, based on Demotech’s analysis, the company’s ability to meet its policyholders’ claims obligations in any event. The Financial Stability Rating given by demotech is used as a measure of the financial strength of an insurance company and their ability to survive a downturn in general economic conditions. This type of service, for customers of Garcia Insurance Services, is really important. Selling you insurance is never our top priority. Our top priority is meeting your insurance needs, which includes stability when you have a claim. 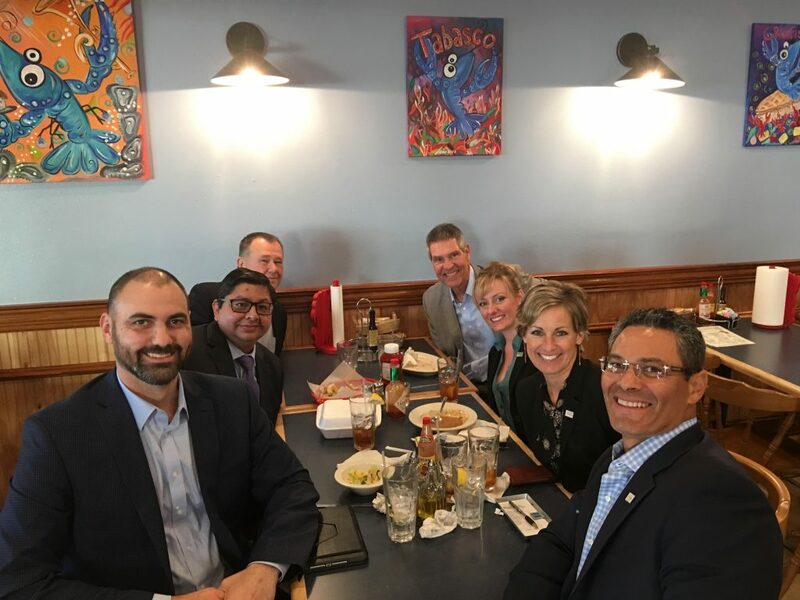 Centauri has strived to be the partner company of choice for customers, insurance agents and employees seeking enduring relationships built on a foundation of trust. At Garcia Insurance, we do not work for Centauri. They are simply one of the best insurance companies we partner with. One reason is when we need to communicate with their staff at the home office, they’re happy! We love local in New Orleans. In 2017 Centauri Specialty Insurance Company formed Centauri National Insurance Company (CNIC), a Louisiana domiciled subsidiary. The Company was formed to meet the needs of Louisiana’s unique insurance market. They offer a variety of residential products in Louisiana including Homeowners, Dwelling and Fire, in addition to specialty lines (flood, hurricane and wind). This means that the dollars you spend on insurance stay in the State we call home. Not only does it meet your needs and provide value, but it grows the economy of our state as well. How much does the best New Orleans’ home insurance cost? We get this question a lot: “I live in Metairie. How much will my home insurance cost?” Or ”I live in Marrero (Fill in the blank with your part of town). How much will my insurance cost?” There are so many factors that drive your insurance cost that is nearly impossible to to give a number without running a proposal. Just like Insurance companies and Insurance agencies are different, there are quotes and proposals. A quote, in our estimation, is a nothing more than a good guess at how much your New Orleans home insurance will cost you. A proposal however, is a more thorough price, taking into consideration all the factors that impact your insurance premium. Factors like your credit, your claims history, the age of the houses main systems (HVAC, electrical, plumbing), the shape of your roof, the construction material of your house and whether or not you’ve bundled your coverage with the same agency can all impact the price of your insurance. You can learn more here about the factors that drive your home insurance cost. To get the best rate with Centauri, you need to have good credit and your house needs to have been updated within the past 25 years. You also need to consider how much your New Orleans flood insurance policy will cost you. Remember that flood insurance is a stand alone policy. Flood damage is not covered by your home insurance policy. The main factor that will drive your flood insurance premium is whether or not your home is located in a standard or preferred flood zone. If you are in a standard flood zone, you will more than likely need to get an elevation certificate. Are you a good fit for Centauri? We’ve been helping clients all over New Orleans get great home insurance premiums with Centauri. It doesn’t matter if you live in Marrero or Harahan, Gretna or Metairie. Our agents can help determine if you are a good fit for Centauri. The good news is as an independent Insurance agency, we represent more than just one company. We can help you buy the the right policy for you that will best protect your quality of life should you have a claim. Are you ready for your Centauri Quote? We pride ourselves on getting back to you quickly. If you are a real estate agent or a mortgage broker, reach out to us. We’d love to talk to you how we make buying an home insurance policy in New Orleans seamless, getting your client to the closing table. Get started here on your Centauri Home Insurance Proposal. Previous Post: What Affects the Pricing of Home Owners Insurance in New Orleans?